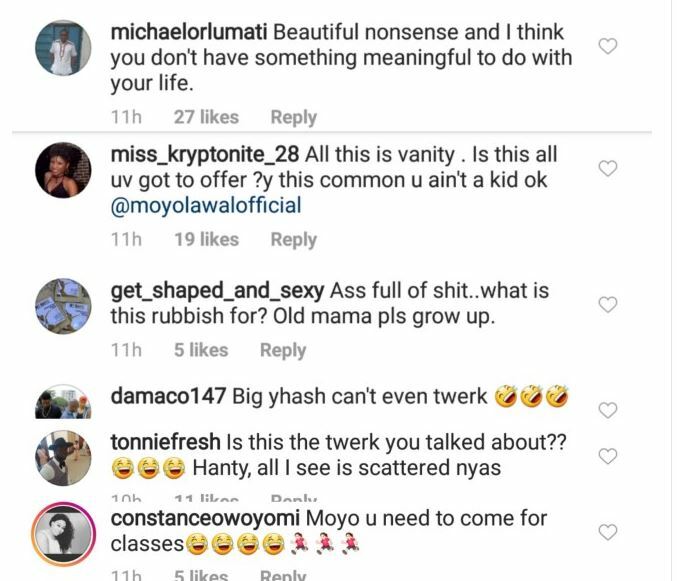 Nollywood Actress, Moyo Lawal shared a video on Instagram where she was twerking to Wizkid’s Soco. 😂😂the person that said beautiful nonsense needs to chill…why are Nigerians soo pained though?? Lol😂😂😂 …is it their twerk ni?? ?